I love when I discover a new line I have never heard of here in Newport. 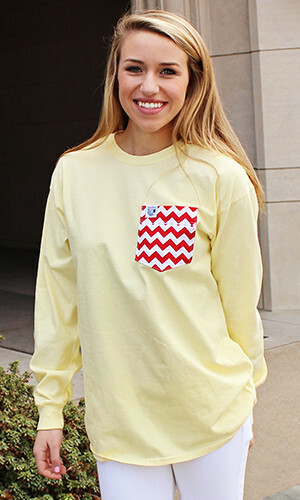 When I was recently in Island Pursuit, I spotted bright and bold super soft cotton tees for women with eye-catching pockets by a company called “Frocket.” Turns out, Frocket is the brainchild of a Dallas designer duo dedicated to “prep apparel, half-cut iced tea, Adirondack chairs, Highway 30A and our feet in the sand.” Trade the ice tea for a Dark n’ Story and Highway 30A for Ocean Drive and you have a style consistent with Newport sass. 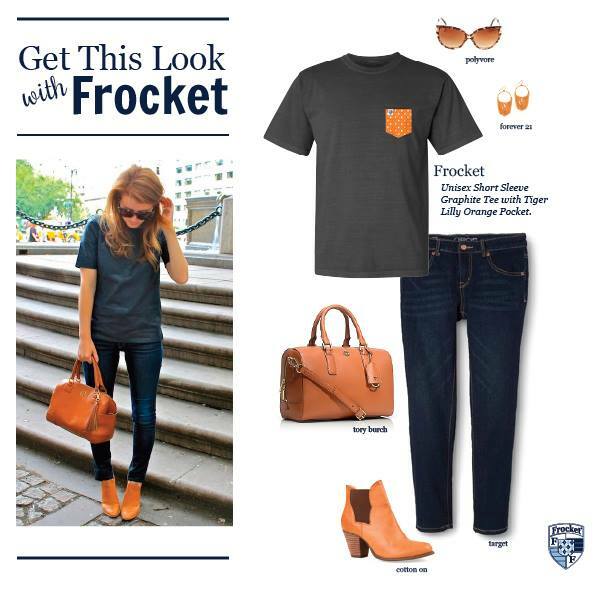 “Frocket” comes from the mash-up of “front pocket,” the area the company highlights with patterns ranging from chevron and anchors to plaids, polka dots and paisleys. The line includes long and short sleeve t-shirts, tanks, shorts, women’s v-neck dresses, totes and more. 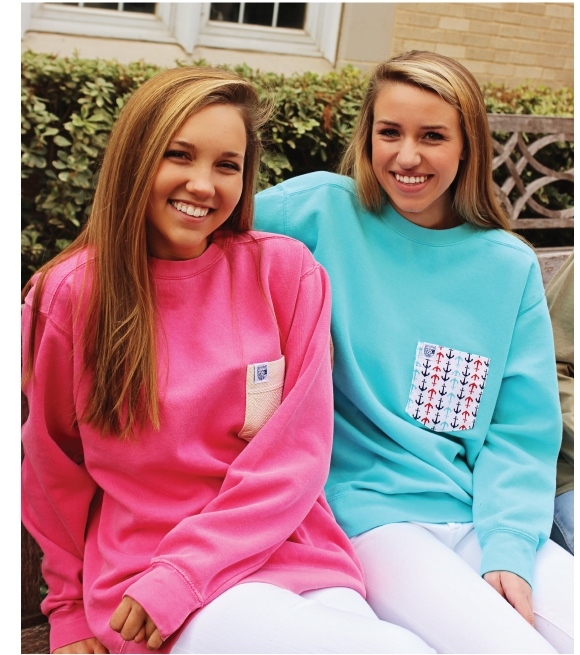 This time of year is perfect for the long-sleeve tee—perfectly comfortable as they’re made of 100% ring-spun cotton, are preshrunk and soft-washed washed ($40.00). 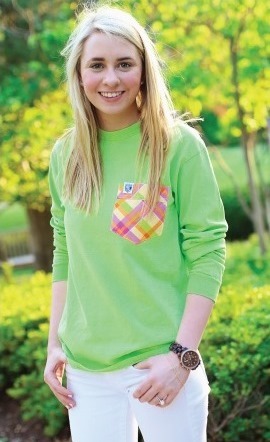 Frocket, along with a ton of stylish lines can be found at Island Pursuit. Don’t forget to take advantage of the special offer Island Pursuit is offering Newport Stylephile readers: Use coupon code NEWPORTSTYLE to get 20% of your entire purchase at Island Pursuit. The fine print: 20% off applies to in-store and online purchases from now until November 1st. Offer is only valid on regular price items and cannot be combined with any other offer. When shopping online, get free shipping on all orders over $100. Entry filed under: Uncategorized. 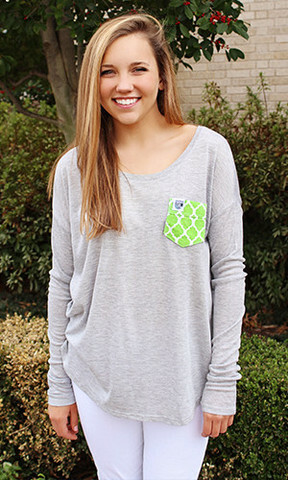 Tags: Frocket clothing, Frocket discount code, frocket Friday, Frocket promo code, Frocket sale, Island Pursuit, Island Pursuit discount, Island Pursuit Newport, Island Pursuit promo code, Island Pursuit sale, Island Pursuit Sarasota, Newport ri boutiques, newport ri shopping, Newport ri shops, Newport RI Thames Street, preppy clothing, preppy Newport ri, preppy style.